In January 1940, President Franklin D. Roosevelt nominated his number two official in the United States Department of Justice, Solicitor General Robert H. Jackson, to move up into the Department’s top job. It was becoming vacant due to the President’s simultaneous appointment of Attorney General Frank Murphy to become an Associate Justice of the Supreme Court of the U.S. 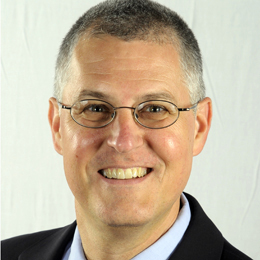 The U.S. Senate swiftly confirmed the appointments. President Roosevelt signed Jackson’s commission and he was sworn in as Attorney General on January 18, 1940. Later that year, war engulfed the European continent. By June, the United Kingdom stood alone as unconquered by Nazi Germany. The U.S. pursued significant rearmament, provided desperately needed aid to the U.K., and reinstituted military conscription. The prospect that world war would engulf the U.S. was real and alarming. And in November, President Roosevelt was reelected to an unprecedented third term. This post was emailed to the Jackson List, a private but entirely non-selective email list that reaches many thousands of subscribers around the world. I write to it periodically about Justice Robert H. Jackson, the Supreme Court, Nuremberg and related topics. The Jackson List archive site is http://thejacksonlist.com/. To subscribe, email me at barrettj@stjohns.edu. Thank you for your interest, and for spreading the word. This entry was posted in Uncategorized and tagged Attorney General, FDR, inauguration, Jackson List, Justice Robert H. Jackson, President Franklin D. Roosevelt, resignation, Robert H. Jackson, Supreme Court on September 24, 2018 by jqb. In early 1940, President Franklin D. Roosevelt promoted Robert H. Jackson, then the Solicitor General of the United States, to serve as U.S. Attorney General, a member of the President’s Cabinet. President Roosevelt then appointed former U.S. circuit court judge Francis Biddle to succeed Jackson as Solicitor General. Eighteen months later, Roosevelt appointed Jackson to serve on the U.S. Supreme Court. At that time, the President, at Jackson’s urging, promoted Biddle to succeed Jackson as Attorney General. Attorney General Biddle served in Roosevelt’s Cabinet for the next four years—for all of the remainder of his presidency, and for nearly the entire period of U.S. involvement in World War II. On April 12, 1945, President Roosevelt died suddenly. Harry S. Truman became the 33rd president of the U.S. Within two weeks, the new president recruited Justice Jackson to serve as U.S. chief of counsel for the prosecution of Nazi war criminals—the appointment that became Jackson’s position as U.S. chief prosecutor at Nuremberg. President Truman also decided to appoint his own Cabinet officers. In the case of Attorney General Biddle, however, Truman chose not to communicate his wishes directly. The President had his press secretary, Stephen Early, telephone Biddle on May 16, 1945, to request his resignation. Attorney General Biddle did not appreciate the President’s effort to fire him by emissary. 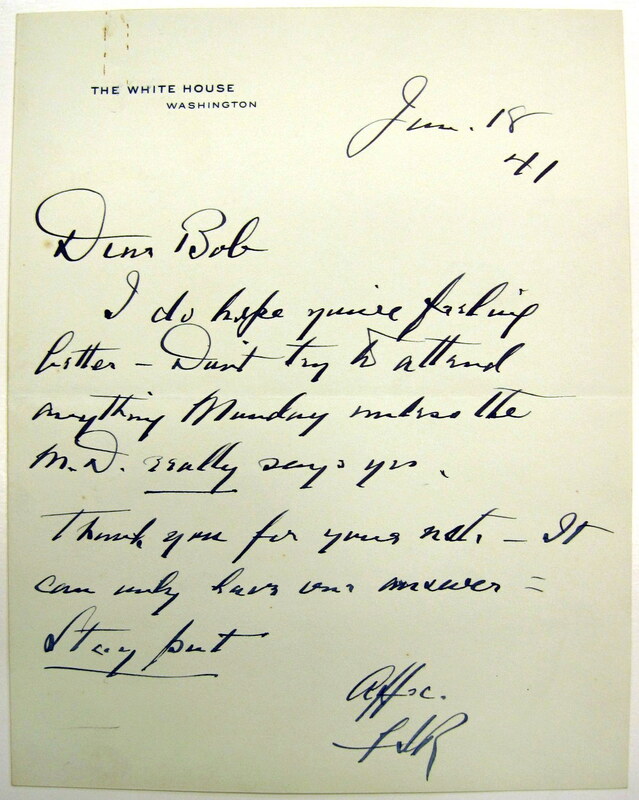 So after speaking to Early, Biddle called the White House and requested a meeting with President Truman. They met later that morning. 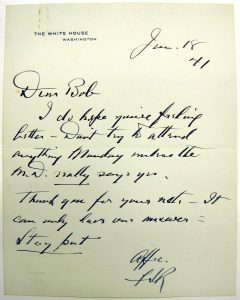 As the story soon emerged in the press, Biddle told Truman that he had, immediately after Roosevelt’s death, submitted his letter of resignation for the President’s acceptance if that was his preference. Biddle added that he quite appreciated that a president would want to have his own friends, people with whom the president was comfortable—and Biddle had reason to think that this was not Truman’s view of him—in his Cabinet. President Truman, reportedly embarrassed, agreed. He told Biddle, to his face, that he was accepting his resignation. This entry was posted in Uncategorized and tagged Attorney General, FDR, Francis Biddle, Harry S. Truman, Jackson List, Justice Jackson, Nuremberg trial, President Franklin D. Roosevelt, President Truman, Robert H. Jackson, Stephen Early, U.S. Department of Justice on March 14, 2018 by jqb. In early 1940, President Franklin D. Roosevelt was planning, at least to some degree, to return to private life after two terms in office. Robert H. Jackson was F.D.R.’s newly-appointed United States Attorney General. Jackson also was, according to private remarks by the President and many New Dealers, and thus according to many press reports that were trial balloons, F.D.R.’s choice to succeed him as the Democratic Party’s presidential nominee, and then in the White House. Events took other courses. Many, including very publicly Jackson, urged Roosevelt to seek a third term. In springtime, Nazi Germany invaded and soon conquered the Netherlands, Belgium, Luxembourg, and France. In late June, the Republican Party nominated businessman Wendell Willkie as its presidential candidate. In July, the Democrats nominated, again, Roosevelt. That fall, Attorney General Jackson took numerous short trips away from his Washington work to campaign actively—as was legally permitted then—for the President and other Democratic candidates. In early October, for example, Jackson spoke to a large crowd in Buffalo, New York, once his home. In this speech, Jackson decried Willkie’s phoniness, noting that “only when he talked to workmen did he find profanity and vulgarity in order,” which lost him “any opportunity he ever had to create anything like unity among the American people.” In mid-October, Jackson gave a law and politics address in Boston. Later that month he travelled to Jamestown, New York, his adult hometown, to speak alongside U.S. Senator Robert F. Wagner (NY) at a large Democratic Party rally. Jackson also spoke that month in Richmond, Virginia, and a number of times from Washington on nationwide radio broadcasts. In the first days of November, Jackson travelled back to New York State to give political speeches in Binghamton and in Yonkers. And then, finally, it was time to vote. On Monday, November 4, 1940, Robert and Irene Jackson travelled from Washington, where they lived in a rented Wardman Park apartment, to Jamestown, where they still owned a house and were registered to vote. They voted in Jamestown on Tuesday, November 5, 1940—both for Roosevelt and his running mate Henry Wallace, I’m sure. In Jamestown at that time, Democrats such as the Jacksons were a political minority and usually their candidates lost. That was true in 1940. Willkie carried Jamestown by over 1,500 votes, and he won all of Chautauqua County, where Jamestown is located. Indeed, Republicans across the county won every race. But that was not true statewide. Although the race was tight, Roosevelt carried New York State, his home, with 50.5% of the vote. Nationwide, the race was not so close. F.D.R. won 54.7% of the popular vote, to Willkie’s 44.8%. Overall, Roosevelt carried 38 of the 48 States. He was reelected with 449 electoral votes to Willkie’s 82. In the new year, President Roosevelt was inaugurated, beginning his unprecedented third term. Wendell Willkie, to his great credit, went to work for President Roosevelt as an international emissary and adviser. In July 1941, Robert Jackson also took on a new government position—he was appointed by Roosevelt and confirmed by the Senate to serve as an associate justice of the U.S. Supreme Court, and thus he resigned his position as Attorney General. Justice Jackson of course cast many, many votes in the Supreme Court’s conference room, on cases, petitions, and other judicial matters. But he never again entered a voting booth. In his view, holding judicial office was a responsibility not to be involved in politics, even at the private level of voting. This entry was posted in Uncategorized and tagged Attorney General, Election Day, FDR, Franklin D. Roosevelt, Jackson List, Jamestown, Justice Robert H. J, President Franklin D. Roosevelt, Robert H. Jackson, Supreme Court, voting on November 8, 2016 by jqb.